The farm. “Terre sul Dirillo Società Agricola” was founded in 2011 by two young Hyblaen entrepreneurs who decided to work on two quality factors: the territory and the agricultural production. “Terre sul Dirillo” was created to give continuity to the family’s business tradition, which was started by the paternal great-grandfather Carmelo Ravalli who had bought, between 1934 and 1947, several lots of land. “Terre sul Dirillo” owns almost 4.000 olive trees both centuries-old and newly planted with the European certificate “organic farming”. Organic production. The Extra Virgin Olive Oil “Fior di Olive” is characterized by an intense smell of fruit with a marked aroma of artichoke, oregano and green tomato. After having delicately tickled the palate with its gentle taste of artichoke, it releases a slightly bitter and discretely spicy taste which gradually grows long and balanced with a hint of bitter September almond. Carrying on a family tradition that prizes land, culture and art, in the 90s Antonio and Lucia Ficara bought Tenuta CAVASECCA: an inestimable arboreal heritage of 50 hectares. With their four children - Paolo, Silvia, Dario and Francesco - they start a business based on the ancient canons of beauty peasant and oriented to quality, creativity and style. The love for this type of cultivation and the desire to produce a P.D.O. organic olive oil, led the family to integrate the centuries old existing Siracusana, Nocellara, Biancolilla and Oglialora (Verdesa) trees, with thousands of Tonda Iblea trees. At present, the organic and P.D.O.olive tree grove covers an area of 25 hectares, grown in the shape of lowered umbrella and spaced 6 metres apart. Nowadays Dario, after his brilliant economics studies at Bocconi University in Milan and several professional experiences abroad, took the reins of the company with the same energy and passion of his parents. 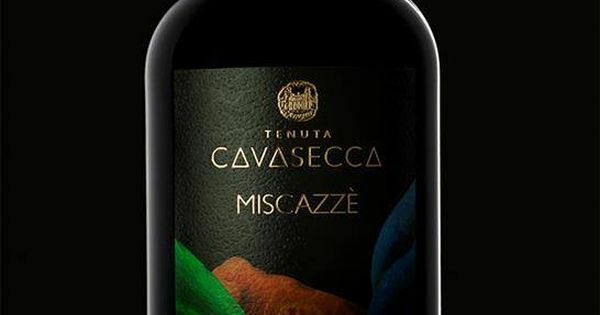 Tenuta CAVASECCA is situated at an altitude of 300 meters above sea level. Tonda Iblea variety accounts for 65% of the cultivated surface, while the remaining 35% consists of the cultivars Siracusana (Zaituna), Biancolilla, Nocellara and Oglialora (Verdesa). The organic Extra Virgin Olive Oil D.O.P. CAVASECCA is obtained solely from olives grown on the estate, in full compliance with methods provided by the organic farming system. The Protected Designation of Origin guarantees the validity of the declared origin, of production rules observation and of the nutritional and organoleptic qualities. P.D.O. is not simply an acronym, it is a VALUE. Critida - Bio Cretan Olive Oil LTD.
Critida is a family company in Crete Greece with a long experience and knowledge to produce, standardize and trade extra virgin olive oil. Family of Critida has a three generation history in the olive oil market and continues to produce olive oil with traditional methods as in the old good times. The use of the cold pressure method sustains intact the nutritional facts of the olive oil and gives to it a unique aroma and flavor. Critida's olive oil comes from fields that belong to the owner’s family for three generations and from producers located mainly in the valley of Messara in the southern area of Crete, where the uniquely favourable climatic conditions of the region help sustain a rich floral and faunal biodiversity, while contributing to the optimal growth of the olive. Our company produces high quality products in a variety of flavors and packaging such as extra virgin olive oil with acidity up to 0.3%, organic olive oil of max 0.3% acidity, Sitia and Peza, Mesara, extra virgin olive oil, which they are Protected Designation of Origin (P.D.O.) and olive paste. We also trade organic olive oil infused with organic herbs from the generous Cretan land such as oregano, thyme, rosemary and spices such as paprika, garlic and lemon. Critida has an export activity in many countries such as Germany, France, Denmark, Bulgaria, Switzerland, Canada, U.S.A, Norway, Brazil and UAE. All of our products are being produced in modern facilities under strict supervision, according to EU regulations and they have all the necessary certificates. The continuous search for new materials and our effort to maintain the quality of our products, have led the company in international markets, where has been honored with many awards. With a three generation history in the olive oil production we give high credit and have a strong commitment to the finest quality of olive oil. With respect for tradition and quality we choose every time the best quality of olive fruit, thus achieving the best result. We have a strong belief to this unique Cretan product and we keep continue our efforts to give to the Cretan olive oil the place it deserves in the global market. Denmark 2006, Elaiotexnia 2008, Czech 2014, Czech 2015, COOC 2016, Terraolivo 2016. Turgut Anadolu Yatırım LTD. ŞTİ. Founded in 1999, TUAY has been a family-owned company since 2004. Productions are carried out organic and conventional. We carry our production with new operating principles of the scientific basis on which we rely on the international quality standards. The type of olive we produce MEMECİK olives. Our production facilities are operated with ISO 22000 Food Safety Management System. We are working on 770m2 areas over 4850m2 with the highest production capacity in the province. Furthermore, in our factory, we have the only conditioned oil reservoir in the province. We produce with a boutique approach and higher antioxidant content. Silver medal (Japan, Turkey in 2013), Gold medal (Japan, Turkey in 2014), Gold medal (Turkey in 2015), Silver medal (Japan in 2015), 88 points (Italy in 2016), Premium medal (Turkey, Israel in 2016), Silver medal (Turkey in 2016), Gold medal (Japan).